Welcome to Sing & Play: Wheels on the bus, the most engaging version of “Wheels on the Bus” you’ve ever seen! We’ve taken this classic nursery rhyme to a brand new level of digital interaction. A fun new adventure for toddlers and pre-schoolers offering a very intuitive user interface and hours of entertainment and learning. Listen to the song and watch our cute animated film. Sing along, listen to the lyrics, and engage for the song to continue. 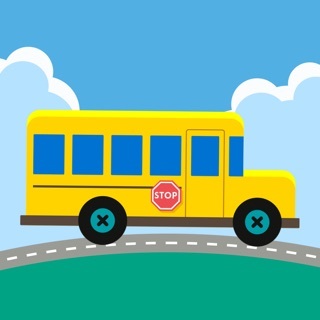 20 levels of entertaining bus driving simulation: learn traffic signs, stop to pick-up children or to let people/animals cross the street and make sure everyone gets to school on time. 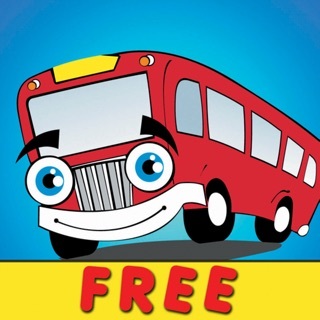 A sandbox game designed for very young players who will love to play with the bus, drive it on its curvy roads and stop to pick-up passengers. Don’t forget to stop at the garage to fill the tires up, clean the bus and give it some “juice”. Coins earned in the bus driving game can be redeemed in the boutique & rainbow paint shop to customize your bus: new wheels, fun accessories, a choice of 8 colors and cute stickers. Follow your child's progress and email his Edoki Academy driver's license to friends and family. - The free version lets you listen to the song as many times as you like, it lets you try the interactive version of the song and it gives you access to 3 levels of the driving simulation game. - Unlock the full version to get more driving simulation levels, a fun garage to maintain your bus and a fun boutique to paint and decorate your bus and make it unique. Drive the bus. Educational game to learn road safety. This app saved us during our last trip. Highly recommended for toddlers and preschoolers! Thank you so much your app saved our latest road-trip. My 3 year old loves to sing & decorate the bus.